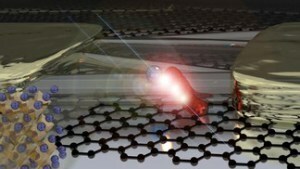 EPFL scientists have created the first perovskite nanowire-graphene hybrid phototransistors. Even at room temperature, the devices are highly sensitive to light, making them outstanding photodetectors. The lead-containing perovskite materials can turn light into electricity with high efficiency, which is why they have revolutionized solar cell technologies. On the other hand, graphene is known for its super-strength as well as its excellent electrical conductivity. Combining the two materials, EPFL scientists have created the first ever class of hybrid transistors that turn light into electricity with high sensitivity and at room temperature. The work is published in Small.